The Octagon is one of the most advanced and secure rescue parachute on the market. Due to its shape, this revolutionary design delivers higher safety levels and more beneficial features than its conventional counterparts. At Niviuk we believe that a reserve parachute is an essential piece of gear to guarantee pilot safety, and hence selecting the best model is as important as choosing the rest of the equipment. Having all these elements together working in sync allow the pilot to fly with peace of mind. Its minimal weight and revolutionary octagonal design resulted in an extraordinary steady canopy behavior and safe descent trajectory. Having a parachute with a straight down descent trajectory with minimal oscillation makes the pilot feel safer and in better control of the situation. The design characteristics of the octagon play an important role in it. The oscillation Octagon rate is 0-5º, while other parachutes offer 10-15º. With this minimized rolling angle, the pilot cannot feel the deviation from the vertical axis while descending, making the added risk of an accelerated drop almost inexistent. The Octagon descent factor is slower than what is found with other rescue parachutes: 4.9 m/s at maximum load compared to 5.3 m/s with others, thus guaranteeing softer and safer landings. The ultimate result does not come from the minimal oscillation amount producing a slower descent rate and softer landing only, but from the canopy's large surface area. The materials used to build it were wisely chosen to promote safety and reduce its overall weight: at only 1,2kg for the smallest size, the maximum all up weight is 80kg. Why? Because the weight was reduced to a minimum but not the surface area (Size M: 32 m2). For that reason, Paramotor (PPG) pilots with a 170kg. all up weight will be able to use it as well. The ratio between the surface area, volume, product weight and performance makes it a valuable lifesaver to carry onboard while keeping the benefits of a larger size parachute without the weight. Available in six sizes: 26 (S), 32 (M), 38 (L), 45 (XL), 55 (XXL) and 67 (Tandem). Not sure which reserve to get? 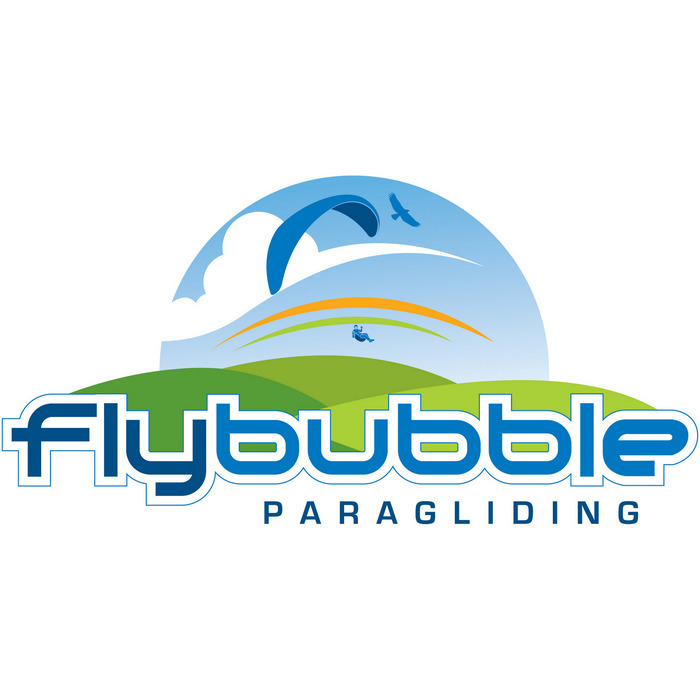 Read Flybubble's buying guide Choose the Right Reserve Parachute.